This Sunday, May 25 Darna is taking advantage of the forecasted beautiful weather and celebrating Memorial Day weekend outdoors. 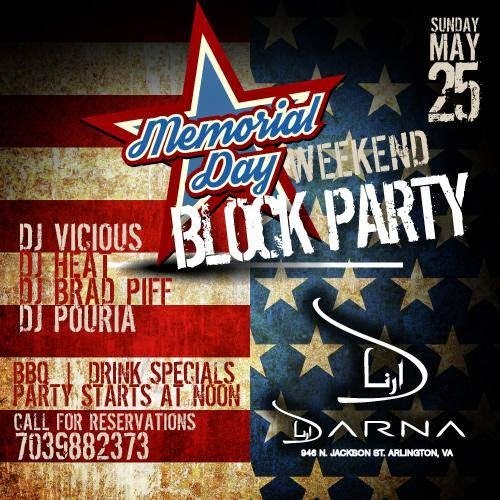 Darna's Block Party starts at noon and features specials like $3 beers, $5 Fireball shots and $5 BBQ items until 8pm. Four DJs will keep their patio active with DJ Heat, DJ Vicious, DJ Pouria and DJ Brad Piff. Darna is also furnishing a dunk tank! This Wednesday, May 21 Rhodeside Grill is parting hard with plenty of whiskey. 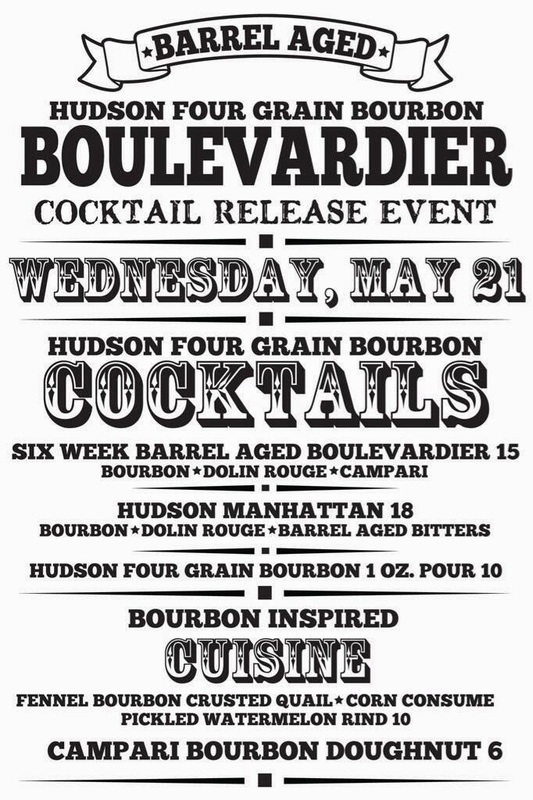 They are throwing a Hudson Bourbon barrel aged cocktails release party Wed night, with lots of bourbon filled drinks like the "Hudson Manhattan". Rhodesides' own Paul Trahan Taylor will be on hand to mix the drinks as well as providing bourbon inspired cuisine to match the still cocktails. Who can turn down a bourbon doughnut? Rhodeside keeps this week exciting with an electronic dance party in their basement Thursday, karaoke on Friday, and no-cover live music by Box Cartel on Saturday. 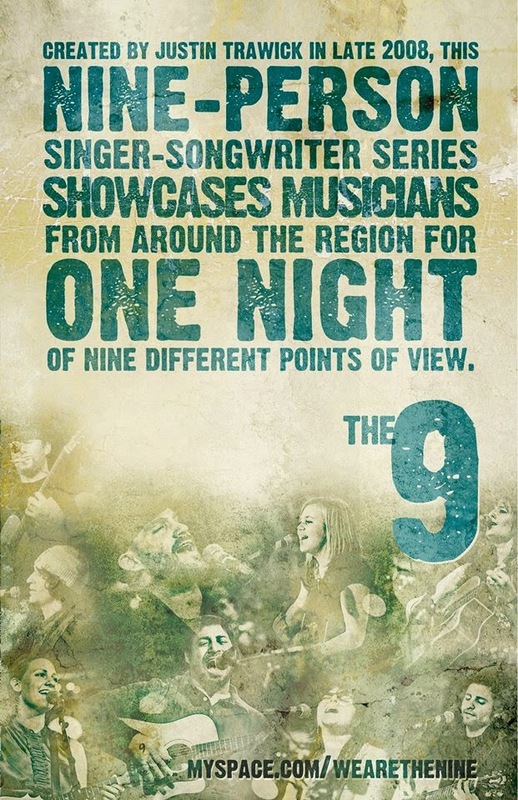 The Nine Songwriter Series has been touring the nation for the past six years since Justin Trawick founded it in 2008. The night will feature nine solo singer/songwriters performing together in a unique and captivating format, telling stories, and often sitting in with each other and making up music on the spot. It's a great value to see all this talent for only a $10 cover. 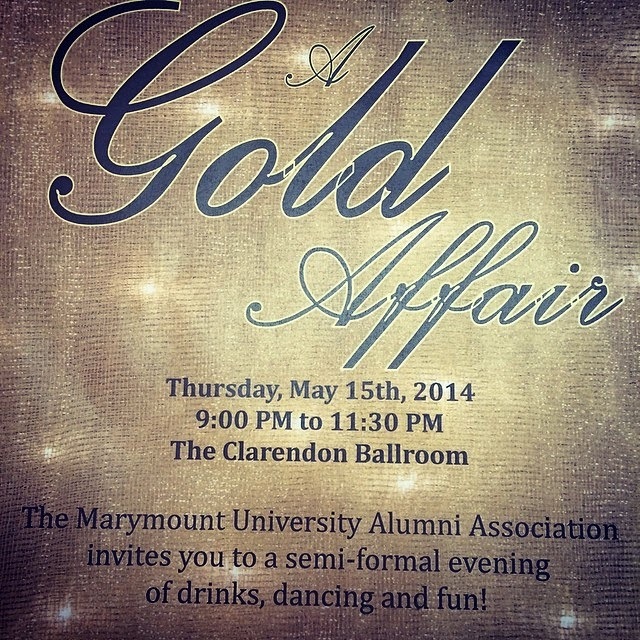 Marymount University is throwing a semi-formal "GOLD" celebration to the class of 2014 and to alumni of other years at Clarendon Ballroom this Thursday, May 15. This private event goes from 9 to 11:30pm and focuses on Graduates Of the Last Decade (GOLD) and young alumni like myself. Tickets are on sale until midnight Wednesday for $20 and include private access to the Ballroom, open beer and wine bar, appetizers, DJ and dancing. $5 of the ticket price will go to benefit the Pay It Forward Senior Class Gift. Tickets will not be available at the door. 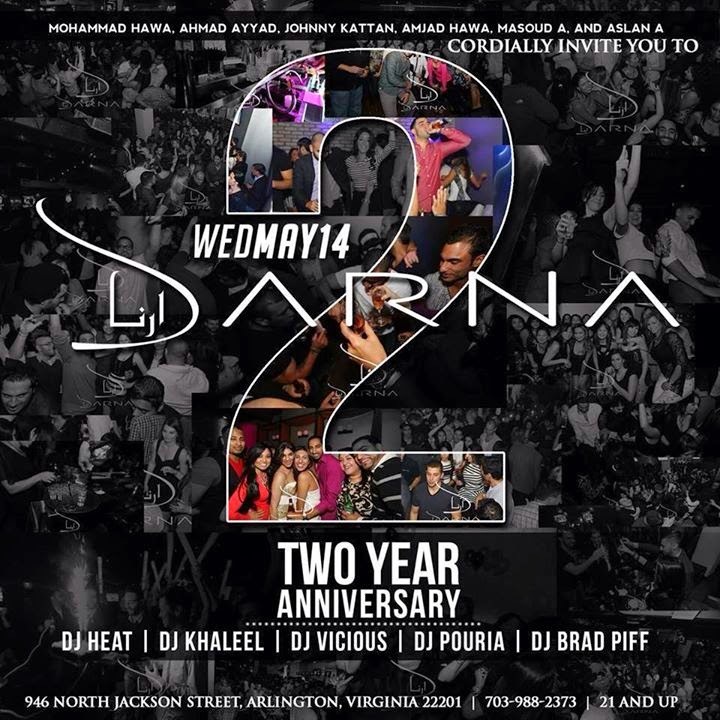 Clarendon's hottest Middle Eastern themed venue Darna is celebrating its second anniversary this Wednesday, May 14. Translating as "our home" in Arabic, the modern lounge has become a second home to many DJs and clubbers in the area. Even though it may be hard to find for newcomers being hidden off the main Clarendon strip next to a Jiffy Lube and an urgent care, it has greatly increased in popularity since its beginning in 2012. 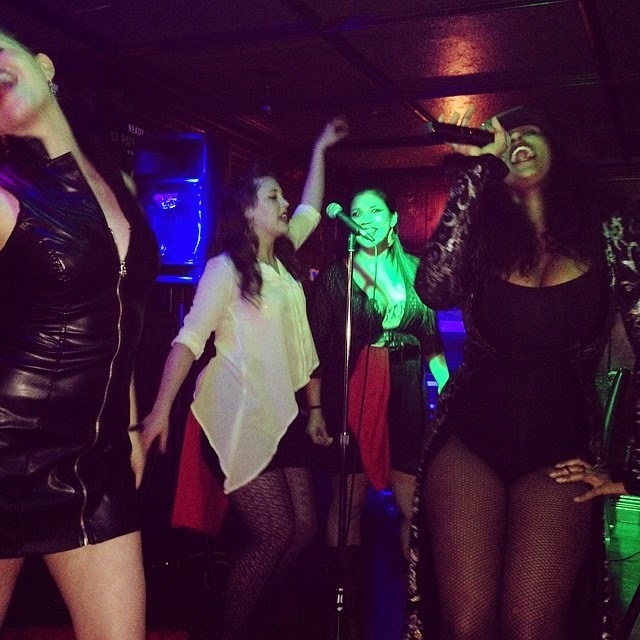 Since it took over the space from the Latin dance club Samba Room, Darna has seen many parties and events including the very popular Cinco De Mayo block parties. This Wednesday join five spinners to celebrate Darna's fancy drinks, hookah on the deck and super cars in their parking lot with DJ Heat, DJ Khaleel, DJ Vicious, DJ Pouria and DJ Brad Piff. "Daisy Dukes and Cowboy Boots"
"How I Met Your Mother Finale"
Unfortunately Wilson Tavern's days were numbered once Arlington County approved that it could be torn down and replaced with an ugly hotel. 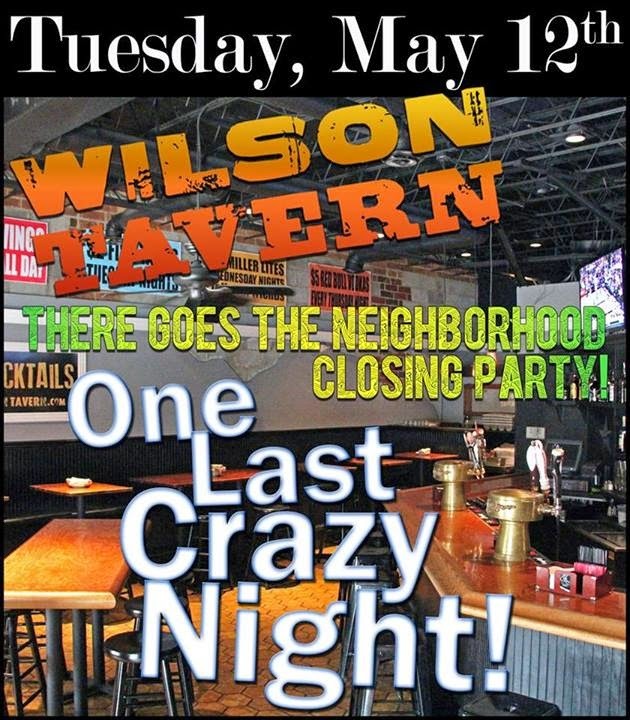 So this Tuesday, May 13 there will be one last party before they shut Wilson Tavern's doors for good and VA Tech alumni will have to find another place to get Top Of The Stairs Rails. 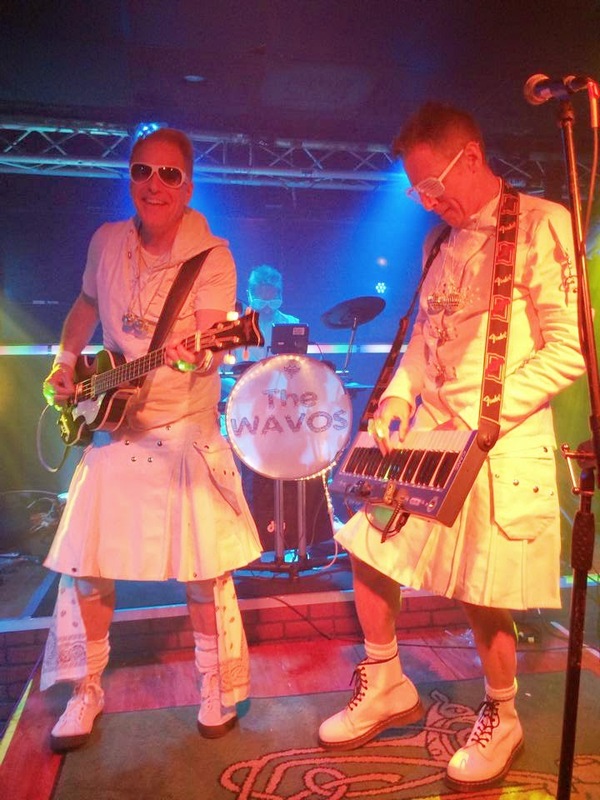 This Saturday, May 10 O'Sullivan's in Clarendon will be taken over by 80s hits thanks to The Wavos. More than just a cover band, these men in kilts will also thrown in some of their original songs described as a mix of The Killers, Green Day and Depeche Mode. The three piece band hails from New Jersey who have been touring for the past six years. You can check out some compilations of Wavo's 80s hits on Youtube here. Music starts at 9pm and there is no cover charge for the Saturday night show. 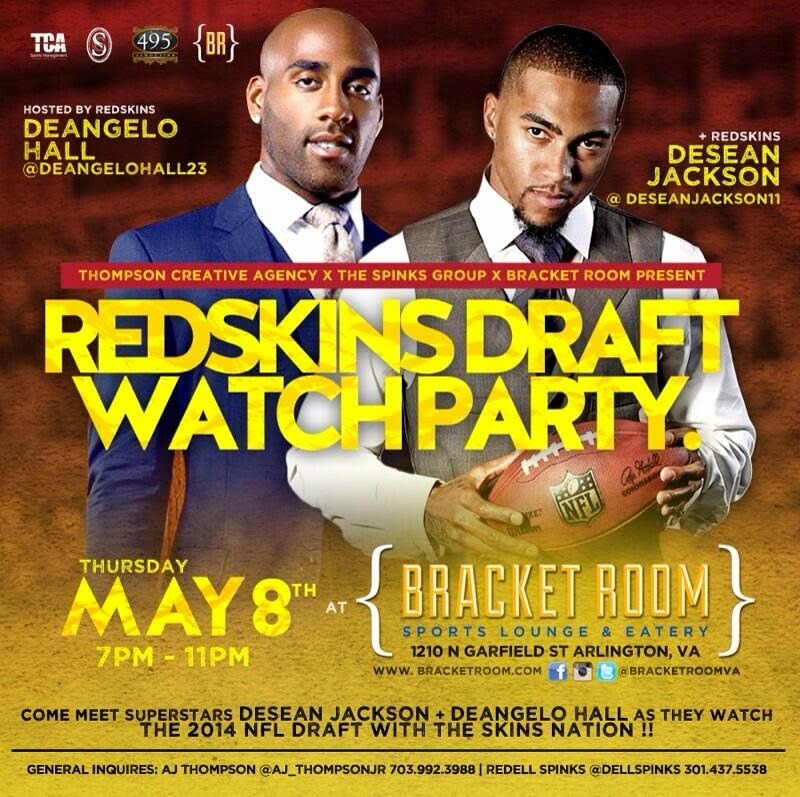 Bracket Room is hosting a Redskins Draft Watch Party this Thursday, May 8 from 7 to 11pm. Washington Redskins own DeSean Jackson (#11 wide receiver) and DeAngelo Hall (#23 cornerback) will be present to talk with fans as they welcome in celebration the 2014 draft picks. Held at Radio City Music Hall in NYC and shown on ESPN, which I am expecting to be shown on almost all of Bracket Room's 35 big screens. It's a shame the Redskins gave up their first round draft pick this year (traded to the Rams in 2012), because we desperately need new hope after last year's 3-13 season. Tickets are how about $6 online, and go up to $12 soon. You will need to show up before 4pm to register. Mister Day's is taking a long siesta Sunday and won't be participating after all. 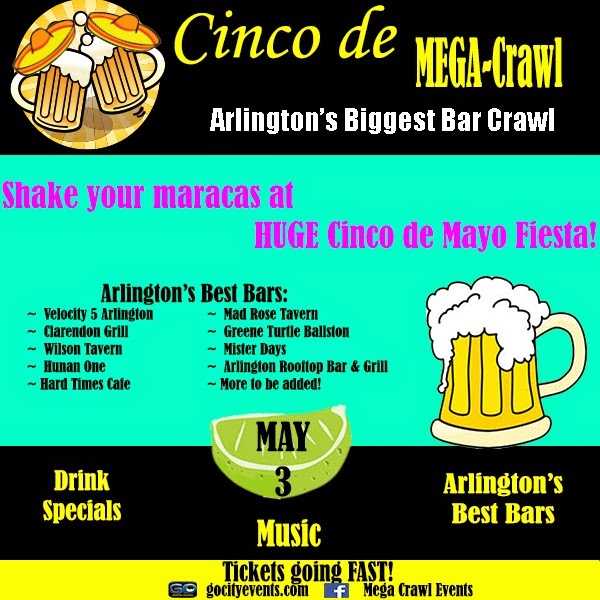 Brace yourself for another large bar crawl in Clarendon this Saturday, May 3 filled with drunkenness and sombreros starting at 3pm. 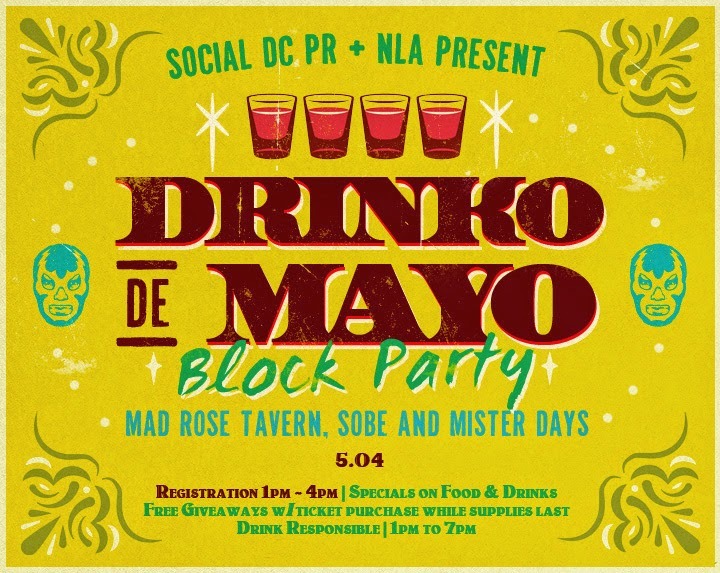 GoCityEvents, the organizers of Shamrock Fest, is throwing a Cinco de Mayo bar crawl with about 10 local bars including Clarendon Grill, Velocity 5, Mad Rose Tavern, Greene Turtle, Hunan One, Arlington Rooftop Bar & Grill, Mister Days, Wilson Tavern, and Hard Times. Tickets are about $18, but you can get them for $5 with promo code "CINCO" now. They are also offering a great deal with the super convenient car service Uber with a $40 credit for your first ride, also with promo code "CINCO". This Thursday, May 1 at 7pm District Karaoke is holding its first-ever flash mob in Clarendon. They are looking to fill Monday night karaoke competition spots for their next season, which kicks off this Monday, May 5 at RìRà. You can sign up here either as a team or solo as a free agent. After the mob, District Karaoke is going to join another popular karaoke league HariKaraoke for live band karaoke also at RìRà. Amateur singing along with a full band is the best way to distract you from this rainy crap weather.